The GeneReader NGS System is a complete sample to insight next-generation sequencing solution designed to deliver actionable results. GeneReader’s turntable design enables researchers to process multiple and independent flow cells in parallel, simultaneously offering staggered access and continuous loading of multiple flow cells. This design facilitates sample scalability for targeted sequencing based on the ability to load between 1 and 4 flow cells. New protocols offer time savings of up to 50%, along with a 75% reduction in hands-on time compared to other library preparation solutions allowing high yield libraries from as little as 4 ng of input material. 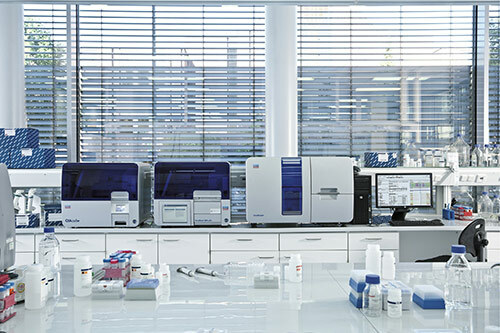 The QIAGEN Clinical Insight platform offers all the tools you need to guide your NGS data analysis and interpretation.